I was up flying out of Leesburg, VA, on Sat. Aug. 30, during the Leesburg Airport (KJYO) Open House. In the traffic pattern with me, while I was practicing Cessna 172 touch-and-go’s–was the Experimental Aircraft Association’s B-17 Flying Fortress, Aluminum Overcast. What a sight, and what a pleasure, to share the sky with such a classic airplane. On the ground I had a chance to see the -17up close, too. 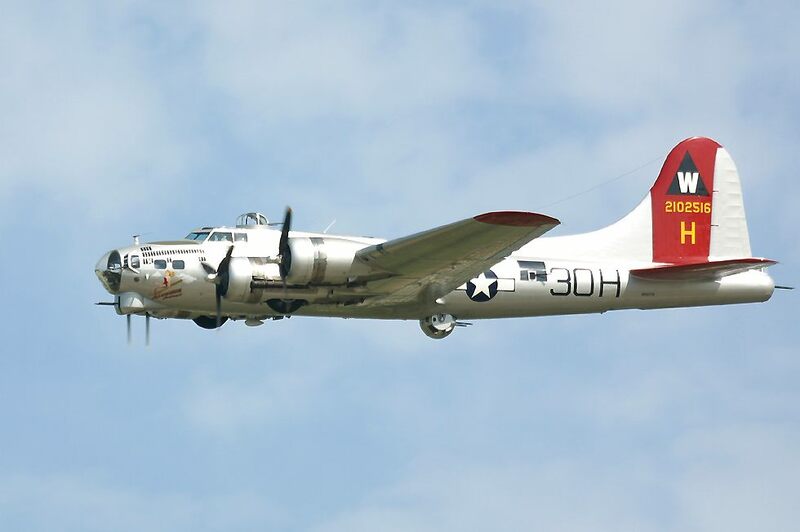 Salutes to all Eighth Air Force (and other Command) B-17 crewmen, for flying this great aircraft in combat. This was the first time this “old” bomber pilot (B-52, 1978-83) had shared the local sky with such a beautiful B-17.